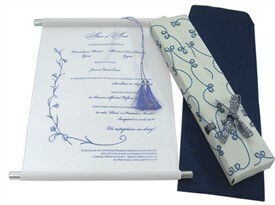 S129, Purple Color, Scroll Invitations, Jewish Invitations. 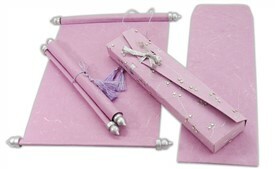 How much more shine would you want? 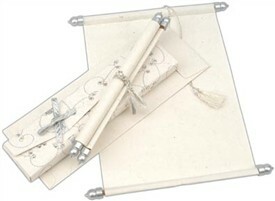 It’s as if the stars have just come to make this scroll invitation. 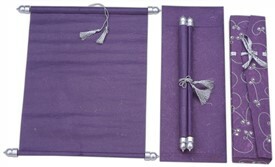 The scroll is plain with golden frame bars and the purple - gold silken tassel. 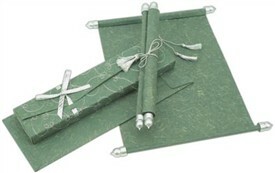 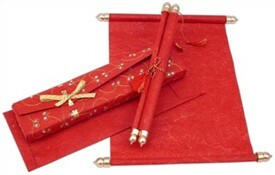 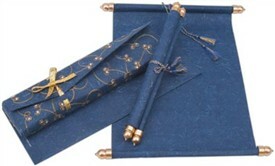 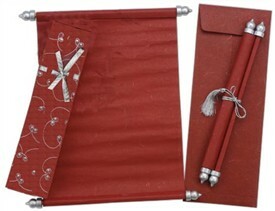 The envelope is a special design with intricate zari embroidery. 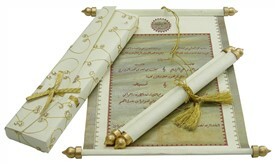 The highlight of the card is the heavy kundan work that makes the scroll look very rich. 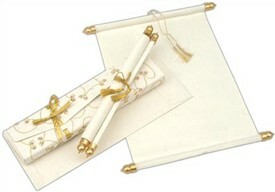 A golden zari ribbon ties the envelope. 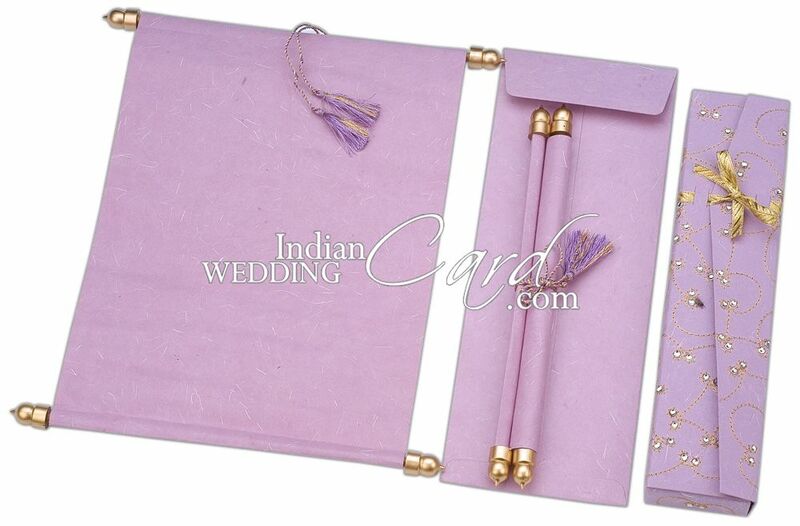 Purple colored silk handmade paper, scroll (100gsm) with golden frame bars and purple - gold combination silken tassel, box style envelope (200gsm) with silver zari embroidered base and heavy kundan work.